Members of banned terror organisation Jaish-e-Muhammad were seen on video footage collected on Friday and Saturday night, soliciting donations from crowds at Karachi mosques to send fighters to India and Afghanistan. "Help the mujahideen of the Jaish-e-Muhammad, the mujahideen of Islam, fight jihad in Kashmir against India, and in Afghanistan against the Americans," a man could be heard saying in footage shot on Friday night, outside a mosque in Karachi. The JeM was officially banned in Pakistan in 2002 after the attack on India's Parliament, but this footage clearly shows that it continues to operate with impunity, says The Indian Express. The footage shows policemen watching the donation collectors of the JeM at work. India holds the JeM responsible for the attack on the air force base at Pathankot in January. 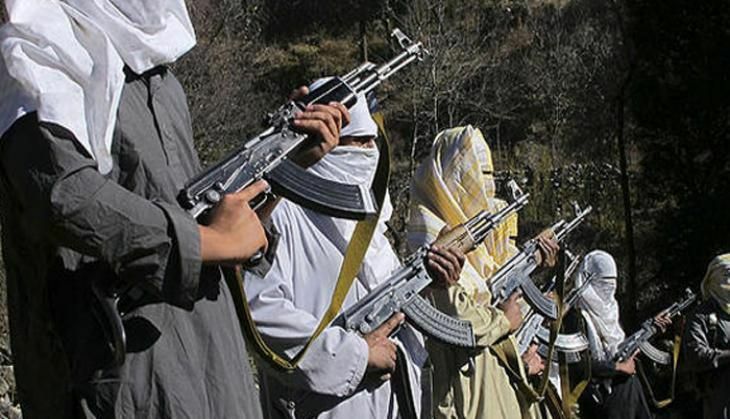 Indian security forces in Jammu and Kashmir say that the JeM's operations in the Valley are also expanding.